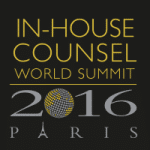 Preparing the ICW Summit, to be held in Paris from october 24 to october 25 2016, Olivier Chaduteau published an article about the in-house lawyers’ role inside global companies. 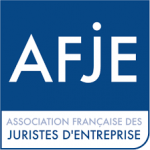 This article was initially published on the website of the Association Française des Juristes d’Affaires en Entreprise on october 17 2016. Following the internationalization of the economy, legal has been moving, over the past 25 years, from a local to an international function. Now, with the process of globalization legal is not only becoming global but ‘glocal’. As stated Thomas Friedman in 2005, “the world is flat”1. His book was the very first and perfect synthesis of a multi-dimensional process which started during the 1980s, called “globalization”. According to the IMF, “ ‘globalization’ is a historical process, the result of human innovation and technological progress. It refers to the increasing integration of economies around the world, particularly through movement of goods, services, and capital across borders. The term sometimes also refers to the movement of people (labor) and knowledge (technology) across international borders. There are also broader cultural, political, and environmental dimensions of globalization”2. By analyzing the evolution of the legal function one can be astonished in realizing that it has been following the very same trend. At first, legal was a local function, helping organization to comply with local rules, laws and regulations. At one point legal was either local or international, while companies started to serve international markets. As post World-War II economies entered into international trade of goods and services, financial integration and then, “foreign direct investment, increased trade in intermediate products, international outsourcing of services, and international movement of persons (…) international spread of ideas, from consumer tastes to intellectual ideas”3 legal definitely became global. For Ben Heineman, in his latest book, globalization increased “complex commercial problems in multiple jurisdictions”4. But with the impact of globalization, legal is now everywhere in our society and our organizations. It is not local or global anymore, it is local AND global, thus “glocal”. Legal was local, then international and is now becoming “glocal” (“Global” + “Local”). What does it really mean? We believe that we should take three different lenses, the three “I”, which demonstrate that “Legal Is Glocal!”. The three “I” we’d like to talk about are: International, Interconnected and Interactive. Like the finance function 40 years ago, legal is now embedded in the business. One cannot do great business without a state of the art legal function playing both roles “guardian of the temple” and “business partner”5. In the meantime, as globalization was on its way, the impacts of international markets, international clients and international competitors have changed. When it comes to business opportunities and business threats, knowing international trends is critical. “The General Counsel is now often a core member of the top management team and participates in discussion and debate—not just about defense but also about offense, not just about risks but also about opportunities, not just about law and related matters, but also about corporate strategy on basic issues like capital allocation, competitive strategy, new products, emerging technologies and new geographies”6. Developing geopolitical, economical, technological and intercultural knowledge is a prerequisite for in-house lawyers and General Counsels in order to fulfill their role within the organization. Questions from business leaders are coming from everywhere in order to sell more to more clients and hire the best people from anywhere in a global environment with less and less barriers. GCs and in-house lawyers have to deal on a daily basis with local laws, regional and international regulations and even extraterritorial jurisdictions. Antitrust, IP, Compliance, M&A, International Arbitration, to name a few, are legal competencies that can’t be efficient without a deep understanding of local and global consequences. Being able to develop a global reach with an efficient approach which respect and comply with local specificities is part of the today’s business complexity as it had to be done faster and faster. Chief Compliance Officers (CCO) know that very well as they’re trying to build an ethical culture which must be enforced in every single country their company is doing business. The pace of doing business and interacting with stakeholders every day is sometimes contradictory with the need for in-house lawyers to embrace a wider perspective and the time for assessing each situation. This acceleration puts pressure on in-house lawyers who not only need to be reactive but also proactive in order to support the business and anticipate risks and find adequate and ethical solutions. For Martin Reeves, “technological innovation has increased the pace and impact of change (…) firms move through business life cycle twice as quickly, on average, as they did 30 years ago”7. One little mistake in a small place or local market can become a global reputational risk due to social media and the digital world we are living in. The butterfly effect has become a reality for lawyers. “You can reach half the planet without building a distribution system”8, pointed out Jim Goetz, partner at Sequoia Capital, in a Harvard Business Review interview this year. As legal departments need to do “more with less”, designing, for instance, a contract for every situation, location and jurisdiction is not efficient. They need to develop templates which should cover 80% of global risks and then ask local in-house lawyers or their local outside counsels to add clauses that cover the other 20% of local risks. This interconnected world redefines the way companies have been doing business for the very first beginning. Companies that have products tend to create services around them in order to differentiate themselves while companies that have services are developing products to do exactly the same. For instance, the food industry is developing products to compete with the Pharmaceutical industry which is already in competition with the chemistry industry while digital and big data start-ups are also trying to get a piece of the pie. Your main competitors may not come from your industry thus may not have to comply with the same rules or regulations. In-house lawyers should find a way to be on the right side of the regulation fence. The very same company can be your client, your supplier, your partner and even become your competitor at one point. Being able to articulate such relationships while mitigating risks and anticipating threats is what “glocal in-house lawyers” ought to do every day. On the defense side, GCs have to look here and everywhere in order to be able to block a competitor using IP, Antitrust or Litigation for instance. On the offense side they have to work with the Innovation and R&D department in order to “suggest” new laws or regulations so that their innovative products find their go to market without being stopped by the legislator, the regulator or another competitor. Lobbying, regulatory and public affairs are “glocal” competencies that need to be up and running at the business pace. GCs and in-house lawyers should be business accelerators, not just gatekeepers. In the meantime, digital is a great opportunity for General Counsels and in-house lawyers when it comes to be more efficient and to focus more on high added value work. Enterprise legal management systems, artificial intelligence robots, knowledge management tools are entering the law department 3.09. Sharing among lawyers but also with business teams is the only way to keep up with the speed and the complexity of doing business in a global world. “International and interconnected” is one thing. But with the development of communication and collaborative tools, stakeholders are now constantly interacting with each other. The “sender-receiver” theory which governed corporate communication during the 20th century has disappeared. Global interaction is now the key trend. The sun of interaction never sleeps for GCs, it’s 24/7. But even more complex, with social media, each stakeholder may wear different hats whether she communicates as an employee, as a citizen, as a shareholder, as a client, as a member of an NGO… A local message could be circulated all around the world, before you even have the time to go out of your office and talk to your team, may be devastating for your company’s reputation which, at the end of the day is the new ultimate risk GCs are trying to mitigate. A business behavior which is totally accepted according to local laws and practices may be relayed in one second through social media and analyzed in a different environment by a stakeholder who was not supposed to receive that kind of information. Interaction among stakeholders has built the “transparency paradigm” that nowadays dictates business behaviors, product consumptions and brand reputation. In all these situations, GCs and in-house lawyers are in the front seat with business teams and compliance professionals. In this “flat world”, companies need more and more GCs and in-house lawyers to light up business teams with innovative solutions that will help them to find the right way and the right pace of doing business. Again, being “local” or “global” is not enough, in-house lawyers should have a “glocal” perspective embracing both approaches at the same time. This is the new exciting paradigm we’re today living in! 1 T. Friedman, « The World Is Flat: A Brief History of the Twenty-First Century », Farrar, Strauss and Giraux, 2005. 4 Ben W Heineman, “The Inside Counsel Revolution: Resolving the Partner-Guardian Tension”, Ankerwycke, 2016. 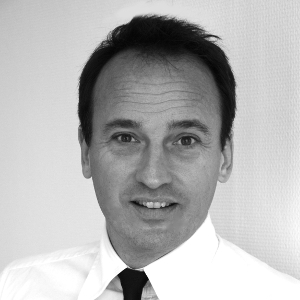 5 O. Chaduteau, « La direction juridique de demain : vers un nouveau paradigme du droit dans l’entreprise », LGDJ, 2014. 6 Ben W Heineman, “The Inside Counsel Revolution: Resolving the Partner-Guardian Tension”, Ankerwycke, 2016. 7 Martin Reeves, “The Biology of Corporate Survival”, Harvard Business Review, January – February 2016. 8 Jim Goetz, “The more money you raise, the less value you create”, Harvard Business Review, January – February 2016.